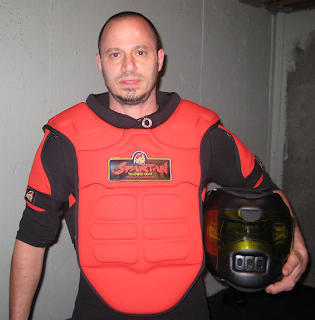 Spartan Training Gear is honoured to announce a new corporate alliance with Richard Dimitri, one of the world's leading authorities on hand-to-hand combat and creator of 'The Shredder', & Senshido International. This is the first time in Senshido's 15-year history that certified instructors and team members will have access to Combat Training Equipment that has been personally endorsed by Founder Richard Dimitri. We'd like to welcome all members of the Senshido community to The Spartan Army. We look forward to a long friendship and a prosperous relationship.